Dr. Dawn Willis is the Artistic Director of Solaris Vocal Ensemble, founding the twenty-four to thirty member mixed-voice ensemble in 2013. Under her leadership, Solaris has performed throughout the Northeast region, and has produced its first CD – Vivat Musica – Music is Life. In 2015, Dr. Willis led Solaris as the featured ensemble at “Gather at the River” – the American Choral Directors’ Association conference in New Hampshire, and on a performance tour of Quebec City, Quebec, Canada. Solaris has also performed at the Vermont statehouse in Montpelier by invitation, and regularly performs in Waterbury and Burlington, under Dr. Willis’ direction. In 2017, she will conduct the ensemble in performances in Portland, Maine. Her broad knowledge of exceptional choral repertoire is at the base of the Solaris mission to present exciting and meaningful performances to its varied audiences.Dr. Willis is also the founder and Artistic Director of Bella Voce Women’s Chorus of Vermont, and she has served as the Music Director at First Baptist Church, Burlington; Chorus Director for the Green Mountain Opera Festival; and as the Assistant Director of the Vermont Symphony Orchestra Chorus. Dr. Willis holds a Doctor of Musical Arts degree in Choral Music from Arizona State University, and Master’s degrees in Sacred Music and Choral Conducting from Southern Methodist University. Dr. Willis has served as the Director of Choral Activities at McMurry University and Iowa Wesleyan College and conducted choral ensembles at the University of Vermont, Arizona State University, and Iowa State University. She has conducted performances of the Vermont Symphony Orchestra, the New England Symphonic Ensemble, and the Southeast Iowa Symphony Orchestra. She has also prepared choruses for regional orchestras in Iowa and Texas, in addition to conducting numerous festivals, clinics, workshops, musicals, operas, and madrigal dinners throughout the Midwest, Texas, and New England. Dr. Willis composes and arranges sacred and secular choral music and music for handbell ensembles. Frank has been with Solaris since its inception, both as a singer in the tenor section and as assistant conductor, supporting the chorus through many ancillary duties. He is presently serving his forty-third year on the New England Music Festival Association’s Executive Board, and he also serves as the Treasurer for the Vermont Chapter of the American Choral Directors Association. He has previously served as President of the Vermont Chapter of the American Choral Directors Association and the New England Music Festival Association. 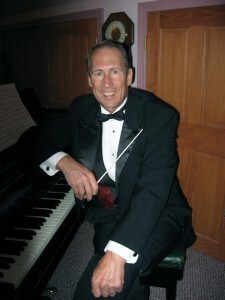 As an educator, Frank taught in the Colchester, Vermont public schools for twenty-two years and recently retired from eighteen years of teaching at Burlington High School, where he served as choral director, and instructor in AP Music Theory, class piano, and music literature. 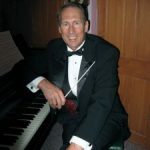 He has taught private piano lessons to students of all ages for many years, and has accompanied choirs, musicals, and many former students and young musicians in recitals, performances, and auditions. Lynette received a degree in music from Swarthmore College, where she studied organ with Robert Smart. She has been active in the Vermont music scene since moving here in the 1980’s. Lynnette is the organist and choirmaster at Christ Episcopal Church in Montpelier. In addition to church positions, she has accompanied numerous vocal groups, including the Onion River Chorus, the Northeast Kingdom Chorus, the Mad River Chorale, and Solaris. 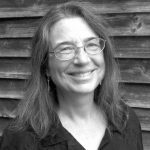 Lynette is also an experienced harpsichordist and has played with many Vermont groups, including the Blanche Moyse Chorale, the Vermont Symphony Orchestra, Eleva, Capital City Concerts, the Vermont Philharmonic, and Scrag Mountain Music.